The off-road-hardy 2012 Jeep Wrangler is still fine-tuned for adventurous weekend warriors, but it's become a little more tolerable for the commute. A lot has changed within the 2012 Jeep Wrangler, but you'll be hard-pressed to see any differences from the outside, and its off-road capability and toughness have been steadfastly preserved. Jeep has very carefully maintained the Wrangler's trail prowess while—thanks to an all-new powertrain this year—made it much more satisfying on the road. While the 2012 Wrangler looks virtually the same as the 2011 Wrangler, Jeep has dropped its new Pentastar V-6 into the 2012, along with a new five-speed automatic transmission. A six-speed manual is still offer, too. But together, the V-6 and automatic combination can now dash to 60 mph in a much faster 8.4 seconds for the Wrangler Unlimited (or 7.7 seconds for the two-door Wrangler; revs are kept low and relaxed on the highway, and the new V-6 gives the Wrangler surprisingly good passing pep. Take to the trail—pretty much any trail—and you'll experience the Wrangler's reason for being. The tough body-on-frame chassis and solid front and rear axles that established the Wrangler as one of the most capable off-road SUVs on the market continues to wow, with lots of clearance, a rugged underbody with protective skid plates, and terrific boulder-scrambling prowess. The traditional four-wheel-drive system is also supplemented with some modern tech, including an electric sway-bar disconnect that permits impressive wheel articulation without the expense of floppy on-road cornering. That said, on-road ride and handling remain sore spots. The Wrangler has a live front axle and dull recirculating-ball steering that has no road feel, although it's find on the highway. On twisty two-laners, it can get a little bouncy or jittery with choppy road surfaces, and mid-corner bumps can create a full-body shudder from the front end. The other sore spot is gas mileage; while Jeep has improved mileage significantly with the new engine, to 16/21 with the automatic, it's quite thirsty for such a compact vehicle. Jeep has improved overall refinement in the Wrangler by leaps and bounds over the past several years, and the interior and noise-reduction improvements introduced last year, combined with the new engine and transmission this year, amount to a substantial refresh. Last year, the Wrangler tossed the parts-bin look and got an all-new instrument-panel design—more curvy and sophisticated, but still upright—along with new interior materials that have more soft-touch surfaces for elbows and such. The Wrangler is offered in two different body styles (Wrangler and Wrangler Unlimited) and three different trims (Sport, Sahara, and Rubicon). Wrangler Unlimited models add 20.6 inches of wheelbase (116 inches), giving them the most cargo space ever in a Wrangler, and a larger rear-seat design. While that extra backseat space in the Unlimited will be much appreciated, don't expect a lot of comfort anywhere in the Wrangler. Also, no matter which model, the front seats tend to be a bit flat and unsupportive. And you'll probably smile when you realize how well-equipped the Wrangler comes; it completely defies utilitarian expectations in offering items like navigation, automatic climate control, and streetwise alloy wheels. Standard equipment includes fog lamps, tow hooks, a compass, a device that shows how economically you are driving, and even an outdoor temperature gauge. Its utter flexibility, along with those options and others like Bluetooth connectivity, MyGIG music storage, Sirius Satellite Radio, and a hard-core off-road package have us still quite amazed at all that's offered—more than any other off-roader. But with Rubicon trims topping $40k potentially, it's not a good choice for the budget-strapped; either way you look at it—whether you're a serious off-roader looking for a weekend toy, or you're a bored commuter who wants something to make it appear you'll get out to the trail—the Wrangler is a pretty expensive niche vehicle. The 2012 Jeep Wrangler is instantly recognizable on the outside, while a softer, more modern look inside doesn't detract from the experience. Iconic, unique, and very rugged-looking are all faithful ways to describe the look of the 2012 Jeep Wrangler. You won't mistake it for any other new vehicle from the outside, and there's a clear line of heritage, appearance-wise, going back to the original Willys Jeeps. Very little has changed about the exterior of the Wrangler in recent model years; it's one of the boxiest, hard-edged exteriors in the business—enforced by details like removable doors, outside door hinges, and a fold-down windshield. The flat side sheetmetal, trapezoidal wheel flares, and seven-slot grille also keep with the Wrangler's ready-for-the-trail, military-truck heritage. The Wrangler is still offered in two-door Wrangler and four-door Wrangler Unlimited variants. Last year, Sahara trims get a new body-colored hardtop, and for this year the new top scheme has been extended to the Rubicon. Brighter colors and an expanded color palette round out the exterior news. Climb inside, and you might notice that the Wrangler has changed quite significantly over the past couple of model years. Jeep last year did away with the drab interior, which was retro in all the wrong ways (read hard plastic and '90s-era Chrysler switchgear), and brought it up to modern tastes. The instrument panels and door panels are newly contoured, trims were freshened and given a bezeled or machined look, and the look and feel is way more sophisticated while keeping the brief, upright, and businesslike look of the dash. You'll also appreciate the use of soft-touch surfaces in areas such as elbow rests. Especially considering its awesome off-road prowess, the 2012 Wrangler performs far better than you might guess on-road—but the dull steering can remain a sore point. While godly among vehicles off-road, the Jeep Wrangler has never been all that exciting to drive on the road; but for 2012 it's much improved in this respect. Jeep has finally tossed out the old 3.8-liter V-6, replacing it with the new Pentastar V-6 that made its debut last year in the Grand Cherokee, and more recently in the Chrysler 300, Dodge Durango, Dodge Challenger, and Dodge Charger. In the Wrangler, it makes 285 horsepower and 260 pound-feet—or about 40 percent more horsepower and ten percent more torque than last year. The new engine is matched to an excellent piece of hand-me-down hardware: the A580 five-speed automatic transmission, which is also used in the new Grand Cherokee, Dodge Durango, Chrysler 300, and Dodge Charger/Challenger models (plus, in a slew of older Mercedes-Benz models). To sum, the 2012 Jeep Wrangler has 40 percent more horsepower and ten percent more torque, and it accelerates to 60 mph nearly three seconds faster than the 2011. Four-door Wrangler Unlimited models can get to 60 in about 8.4 seconds, while two-door Wranglers can make the dash in 7.7 seconds. Altogether, the change is transformational. In the Wrangler, shifts felt surprisingly seamless during light to moderate acceleration—only slightly less damped than in the Grand Cherokee—yet snappy and decisive with more throttle. The Pentastar has lots of torque down low and will rev all the way smoothly to redline, with no flat spots, balks, or odd vibrations in between. We like the feel of the available manual transmission, though it's more of a throwback to the Wrangler of yore. While throws are long (as is pedal travel), and honestly it feels like it's borrowed from a muscle car (actually, from NSG/Mercedes) as you feel some vibration, the shift action is tight and precise. Final drive ratios can be almost ridiculously tall—for example, in one automatic test vehicle, we didn't see much more than 3,500 rpm at 50 mph in SECOND gear. Base models now come with a 3.21:1 final drive, up from the former 3.73:1, while a low 4.10:1 ratio is still available in the Rubicon. If you're charmed by all the rest, it's a little hard to warm up to the Wrangler's dull recirculating-ball steering. On the moderately twisty roads heading out to the off-road trails and back, we found repeatedly that while the Wrangler turned in surprisingly crisply, the steering had a 'dead zone' of sorts—and universally lacked feedback or road feel. Both my co-driver and I kept getting our lines wrong in corners and had to adjust mid-corner, apologizing to the other. Eventually we figured out that sidewall flex was getting in the way—which invited a more effective strategy of pitching the Wrangler into corners a little harder initially, to get through the flex. Counter-intuitively, it felt smoother that way. Among useful quirks, like only a handful of off-road-focused vehicles today you can start the Wrangler in gear, with your left foot off the clutch (provided you have 4-Low engaged). We actually restarted the Wrangler on a steep incline in first gear, while in Low range. 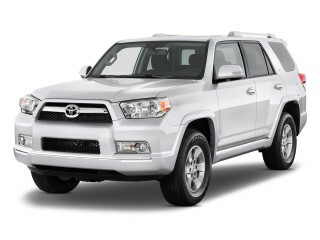 Thanks to the automatic's wider gear-ratio span and lower first gear, its crawl ratio has actually improved. The 2012 Jeep Wrangler doesn't offer much comfort on the road, but recent improvements to quell noise and vibration go a long way to reduce fatigue. You can get the Wrangler in two quite different packages: two-door Wrangler, and four-door Wrangler Unlimited. Wrangler Unlimited models add 20.6 inches of wheelbase (116 inches), giving them the most cargo space ever in a Wrangler, and a larger rear-seat design. While that extra backseat space in the Unlimited will be much appreciated, and the Wrangler's all-new interior introduced last year brought the dash and trim up to the 21st Century—it no longer feels pieced together military contractors raiding Chrysler's parts bin and skimming the top—seat comfort still isn't up to the level of other SUV alternatives. Front seats are merely adequate, and all the seating has a rather firm, flatly padded feel (perhaps under the assumption that it might get wet). Ride quality is on the firm side, and quite busy, with lots of secondary motions, and nearly all minor road imperfections making their way inside. You'll also be frequently made aware that this is one of the few vehicles (other than heavy-duty pickups) that still offers a live front axle. Any mid-corner bumps reliably produce a full-frontal shudder from the front end (the back end can hop somewhat but seems to soak such things up a bit better). Standard Wrangler models are somewhat more bouncy, though, due to their shorter wheelbase, but really, the difference isn't as pronounced as you might expect. A lot of the things you'd find frustrating in nearly any other car, you might find novel or charming in the Wrangler: For instance, the doors completely lack detents, with only a fabric retainer strap limiting their travel. On manual-transmission models, there's no dead pedal on the far left to rest your foot; instead, the three pedals are large and widely spaced; surely, you could drive the Wrangler with hiking boots. That could get tiring on a long trip. But positively, you still have a choice of many top arrangements and can still pivot the windshield forward when you so desire (in private, low-speed use). Thanks to a host of improvements to reduce noise, vibration, and harshness (NVH) last model year, as well as this model year, with the new powertrain, the new Wrangler is much quieter inside—making it a much more tolerable choice for commuters or daily drivers than it previously had been. Considering its sharply angled exterior and exposed door hinges and the like, the Wrangler is shockingly quiet inside. Even at 70 mph we heard only a faint whistle around the front pillars. It should be noted that when you go for the manual gearbox you get a little more gear whine and road whoosh. On-road ride and handling aside, safety is perhaps the most significant red flag for the 2012 Jeep Wrangler. While the Wrangler hasn't yet been tested by the federal government new, tougher crash-test system introduced last year, the Insurance Institute for Highway Safety (IIHS) hasn't rated this Jeep very well. The two-door Wrangler is rated 'good' for frontal impact, 'moderate' in the seat-based rear-impact test, and just 'poor' for side impact; the four-door Wrangler Unlimited has the same frontal and rear ratings but a better (though still worrisome) 'moderate' rating for side impact. Another surprise shoppers might find in this respect is that side-impact bags remain an option ($490) on the Wrangler Unlimited and aren't even available on the two-door Wrangler. 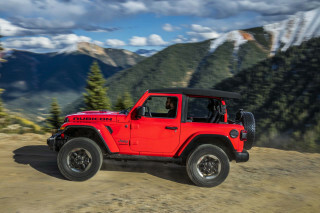 Otherwise, the Wrangler does come with quite a few safety features—including anti-lock brakes and stability control, plus two off-road aids: Hill Start Assist (HSA) to prevent rollback on graded surfaces, and Trailer Sway Control (TSC), which monitors vehicle movement relative to the intended path. You can get all sorts of features that you wouldn't expect to see in the utilitarian-looking Wrangler and Wrangler Unlimited, but prices can get high. You might assume that the exposed door hinges and other rugged details surrounding the Wrangler would hint that there's not much softness or convenience within, but to do so would be wrong; among off-roaders, and even among sport-utility vehicles, the 2012 Jeep Wrangler has a well-stocked roster of features and options—though the only catch is that you might have to pay quite a bit more to get some of them. 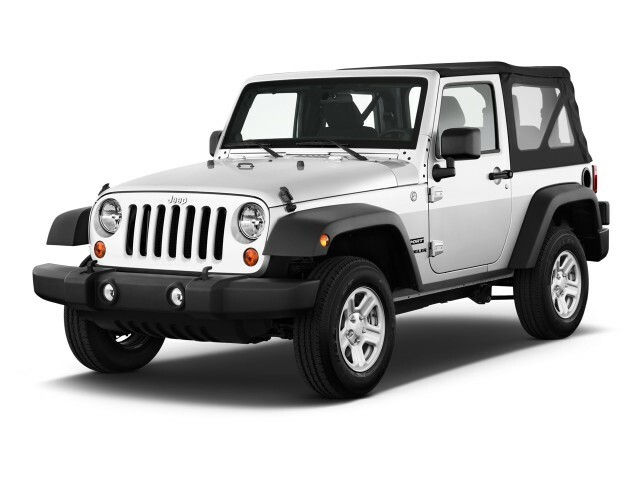 Wrangler models can be equipped with air conditioning, navigation, automatic climate control, and streetwise alloy wheels. The model lineup for the Wrangler remains mostly unchanged. 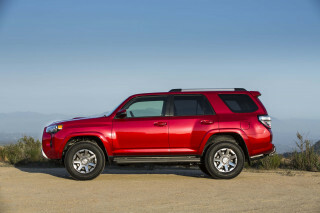 Including base Sport, the popular Sport S, showy Sahara, and super-off-road-focused Rubicon. 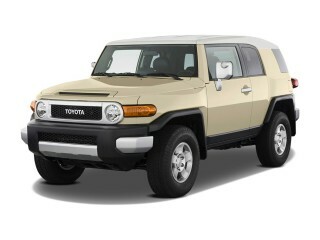 For 2012, the Rubicon model now shares its body-color hardtop with the Sahara. Standard equipment includes fog lamps, tow hooks, a compass, a device that shows how economically you are driving, and even an outdoor temperature gauge. Its utter flexibility, along with those options and others like Bluetooth connectivity, MyGIG music storage, Sirius Satellite Radio, and a hard-core off-road package have us still quite amazed at all that's offered—more than any other off-roader. In addition to the new instrument panel and new look last year, the refresh included an all-new steering-wheel design with integrated controls, a new armrest, and a locking glovebox, and heated seats and heated mirrors are newly available—as is automatic climate control. The soft-top mechanism has been gradually improved over time, allowing easier access to convertible thrills. And with the Freedom Top, the Wrangler Jeep can go roofed, as a targa, or as a full convertible, which definitely increases its appeal. Jeep has held the line on pricing for 2012, putting the base Wrangler at $22,845 and the base Unlimited at $26,345, including destination. But those base prices can be misleading, as Sahara and Rubicon models cost thousands more, and you'll want a number of options to make the off-road package (and appearance) complete. A well-equipped Sahara can cost more than $37k, and loaded Rubicon models can top $40k. At that price, it's hard to see many owners not gulping heavily at the possibility of scratching paint or scraping a boulder. For a vehicle with so little passenger capacity, the 2012 Jeep Wrangler uses a lot of fuel—though for those who truly use its trail capability regularly, it's forgivable. The Wrangler isn't all that fuel-efficient, even compared to other truck-based utility vehicles; and with its EPA 16-mpg city rating, it could even be considered a guzzler and simply isn't a replacement for a crossover or other family vehicle if you want to keep your fuel budget (and use) down. But that's of course if you plan to do a long commute in the Wrangler every day. Compared to most dedicated off-road vehicles, the Wrangler's gas mileage isn't all that much worse, though. It should be noted that with the new Pentastar V-6, the Wrangler's ratings are up significantly this year—up one mpg in either the city or highway, and 2 mpg higher on the highway with the new automatic, to 16/21. Absoluty love it! Couldn't be happier. Drives like a dream. Tons of power. Looks incredible. The most practical convertible, 4 wheeler that is comfortable and a fun to drive car that gets a lot of looks. 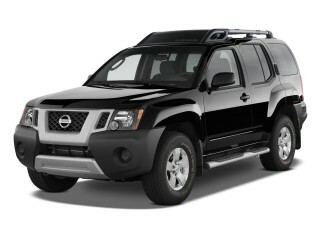 The title above says it best for this vehicle of which is the third one I have owned.